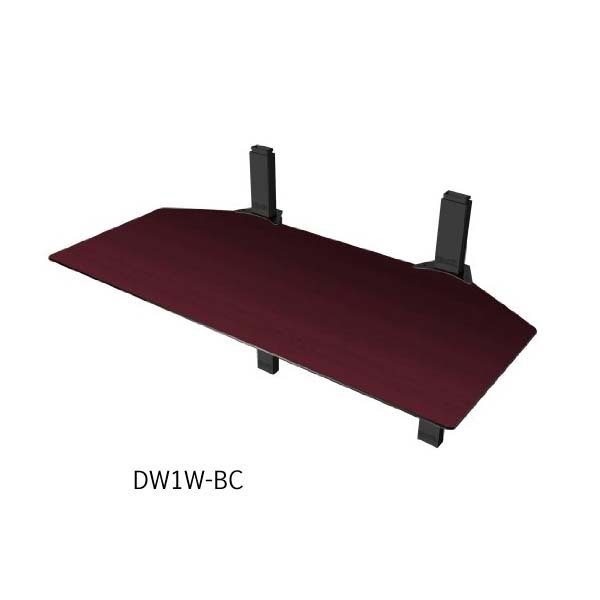 More on the Cambre Sky Shelf Double-Wide Wood Wall-Mounted Component Shelf (Cherry-Espresso) DW1W-BC below. Cambre's Sky Shelf is a low profile shelf system providing a clean modern On Wall solution for Audio Video component placement. The Double Wide Sky Shelf can hold two regular size components side by side. Additional shelves can be added to create a complete wall mounted shelving system to accommodate additional components. Shelves can be spaced at any distance from each other and are linked with Wire Wraps for cable management. 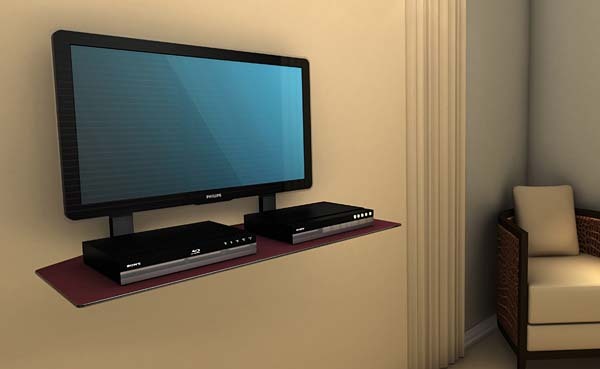 The Double Wide shelf can also be used to hold up to a 42 TV. This wood shelf is reversible for two finish options: Cherry and Espresso. Sturdy, reliable support for peripheral components up to 35 "W and 16"D.
Click HERE for double-wide sky shelf installation instructions. Forest Friendly Products - Our products are produced from well managed forests that protect wildlife habitats, endangered species, and ensure clean water by respecting rivers and waterways. Our wood products do not come from areas of social conflict, genetically modified trees, high conservation forests and large scale conversions that replace native trees with faster growing non-native trees. Range of Screens Supported: 28 to 32 in., 33 to 38 in., 39 to 42 in.